United Yacht Sales New Jersey would love to guide you through a personal showing of this 78' Marlow 78e Explorer 2005. 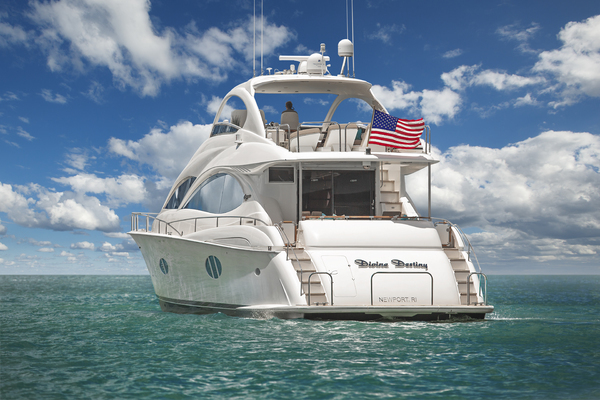 This yacht for sale is located in St. Petersburg, Florida and priced at $2,235,000. For a showing please contact us by filling out the form on this page and we will get back to you shortly! Dreamliner as her name suggests is the vessel that will make your dreams come true! A rarity with its beautiful oyster white super structure and hull that sets her completely apart from all the rest! 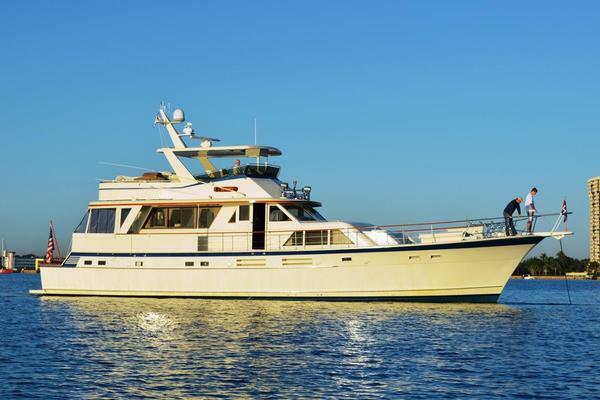 This 2005 78 Marlow has been meticulously maintained by her present owner with a tremendous amount of quality upgrades over the past two years. The aft deck provides an excellent area for entertaining and for taking in all the sights. Teak decks, varnished cap rails, hand rails, and massive stainless steel hardware offers a rich feel to all that come aboard.The salon is the perfect place to entertain with an enormous u-shaped leather settee, a large retractable flat screen TV, and two barrel chairs across the central pedestal table. The dinette situated between the salon and pilothouse exudes elegance with her built in china cabinets, wine cooler, fridges, and new Quartz bull nosed countertops. Upgraded solid teak raised beveled fronts on all appliances sets Dreamliner apart from other Marlows. Under the custom chandelier is a classic teak dining table that seats six and expands to eight.Dreamliner has two guest staterooms plus crew quarters. The master stateroom is a beam to beam cabin with a king size bed surrounded by teak and glass cabinets providing abundant storage. No comfort is spared as this room includes a writing desk, swivel pedestal chair, small settee, and a large flat screen TV. Dreamliner's master stateroom also features his and hers ensuite heads with an adjoining shower.The VIP Stateroom has an island king berth, teak cabinets, flat screen TV, ensuite head and shower.The second guest cabin features side by side single berths with an ensuite head and shower.Marlow Explorer Yachts are limited production yachts built under constant supervision and stringent quality control procedures. The Marlow Explorer 78E is designed and built to cross the oceans of the world in comfort and safety while the proprietary Strut Keel technology allows inland and island cruising with fully protected running gear.